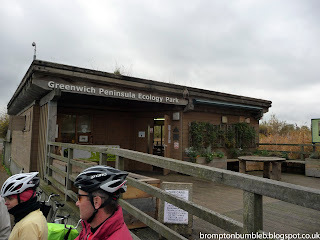 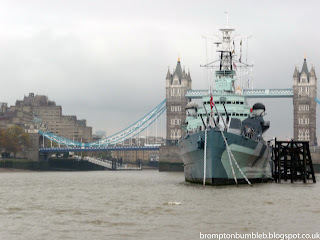 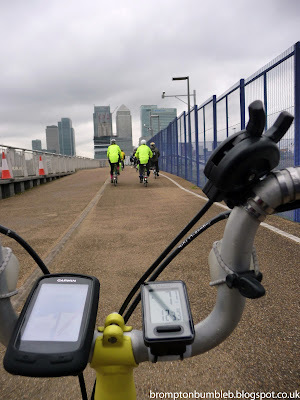 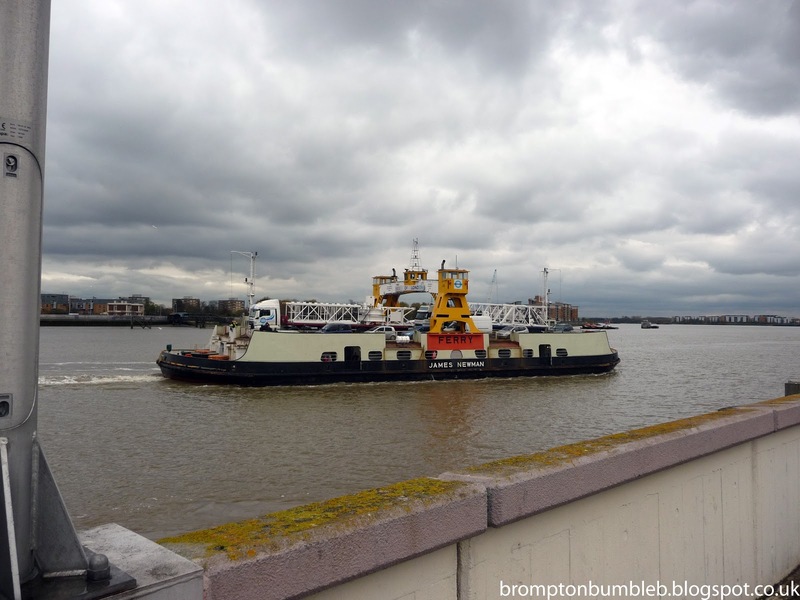 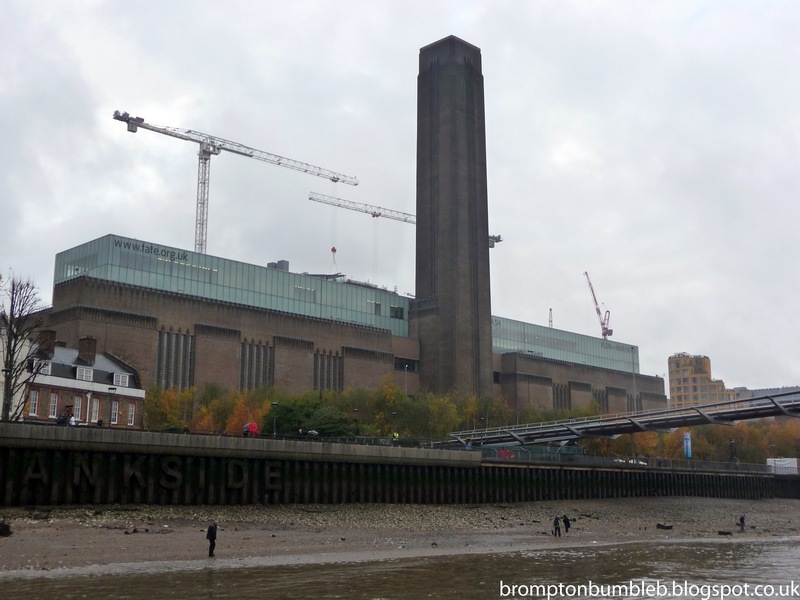 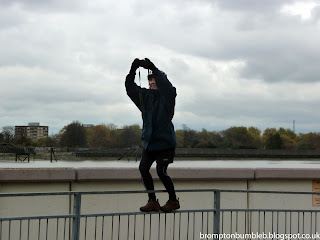 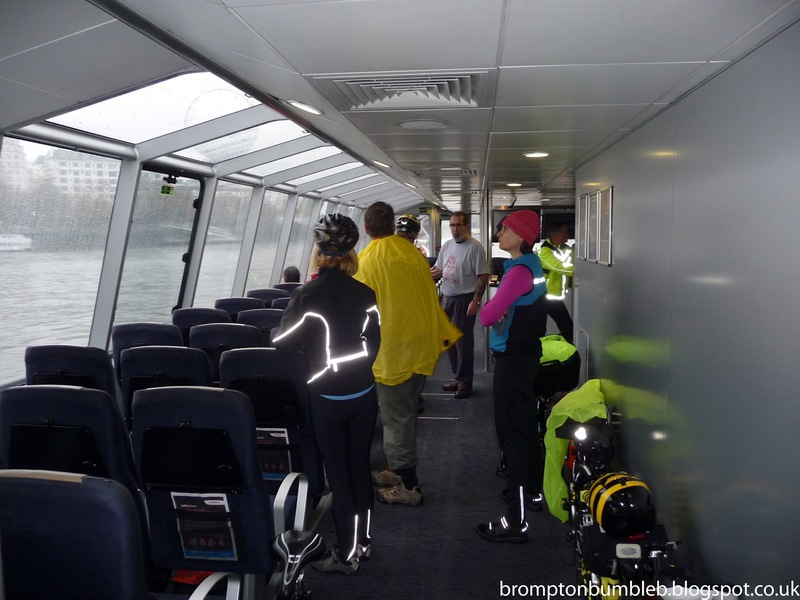 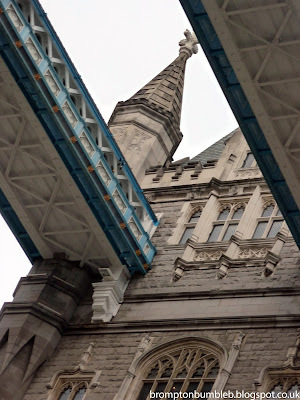 Another great day ahead of me & The Legend going on the LBC Club Ride: Greenwich Loop planned and organised by a member of the club, Mark W. We was going to try and go under, over and on the Thames River. 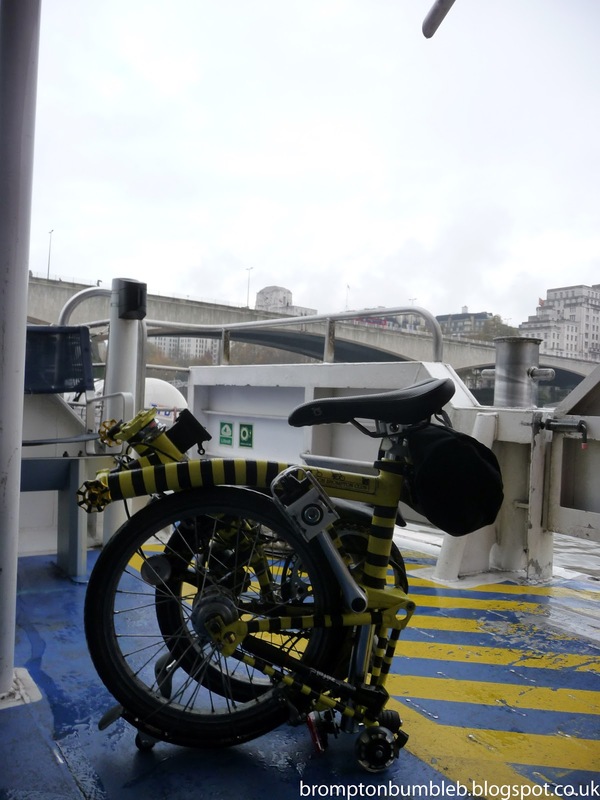 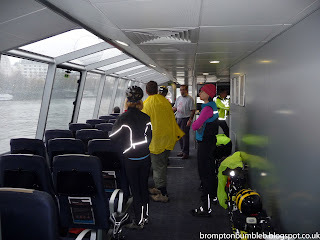 Before the main ride a few of us wanted to ride the ferry on the River Thames to Greenwich where we was going to meet the rest of the LBC Gang. 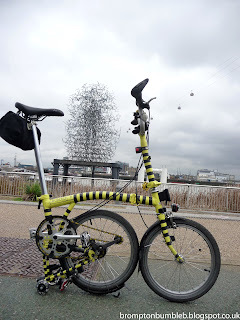 As I left my house there was a little dizzy going on which didn't look like it was going to give up any time soon but it was a short 10min ride to my station. Well finally arrived at Piccadilly Circus to meet my cycling partner in crime Mr.O and head down to Embankment Pier to catch the Thames Clipper to Greenwich. 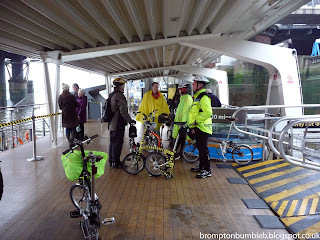 Met up with Mr.O & a few other member's making the ferry ride. 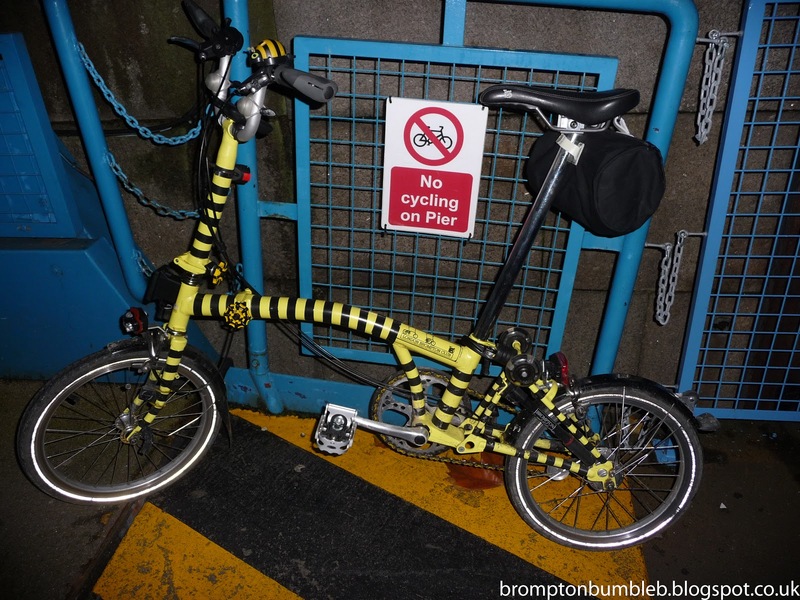 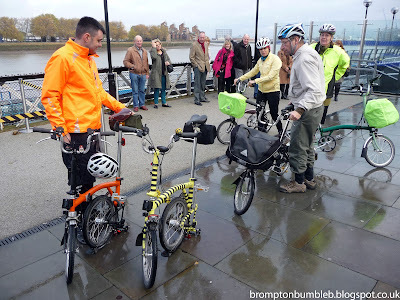 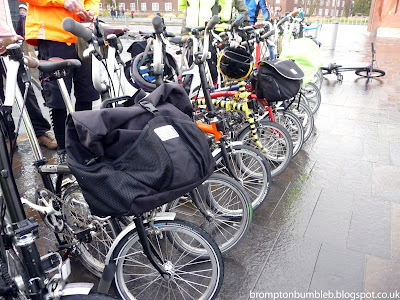 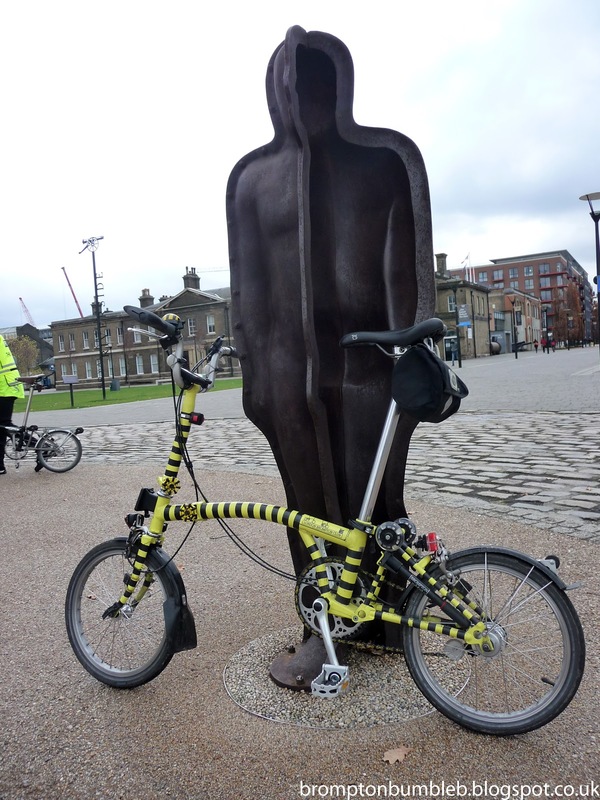 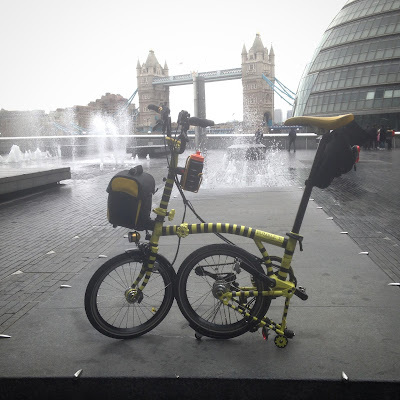 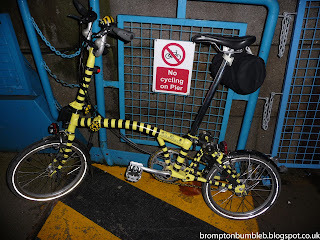 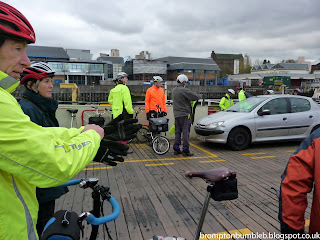 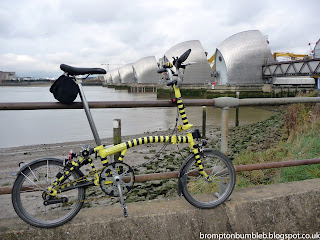 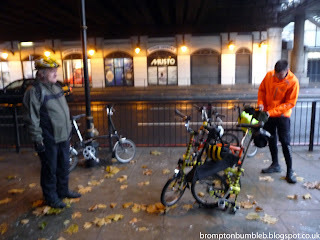 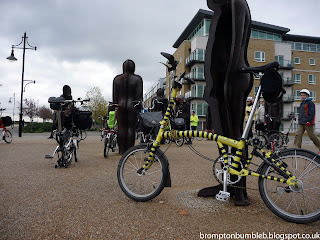 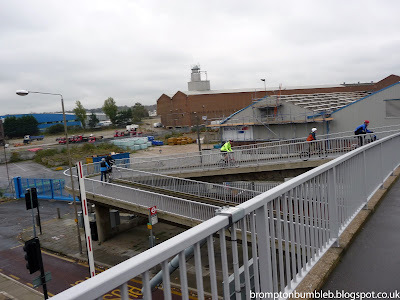 As always its good to see other members of the LBC and we all caught up with whats been happening with us and any new upgrades etc on our Bromptons. 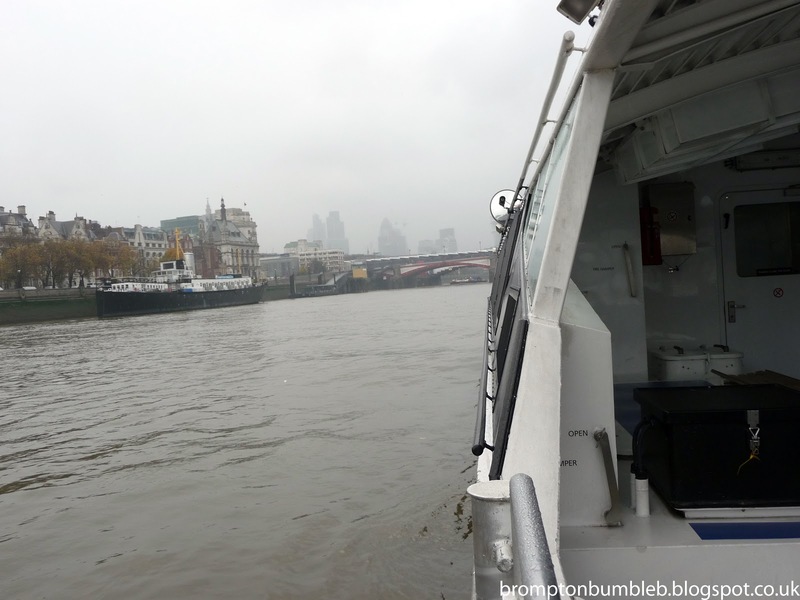 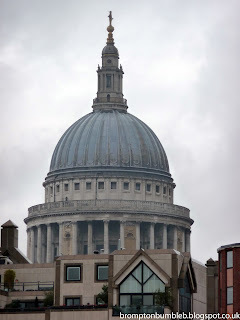 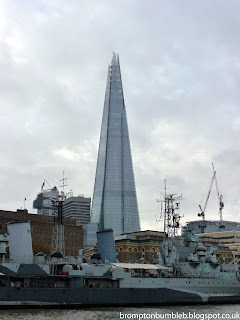 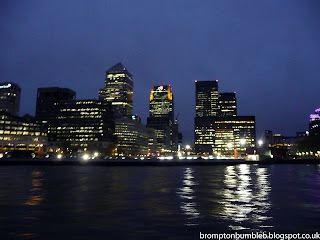 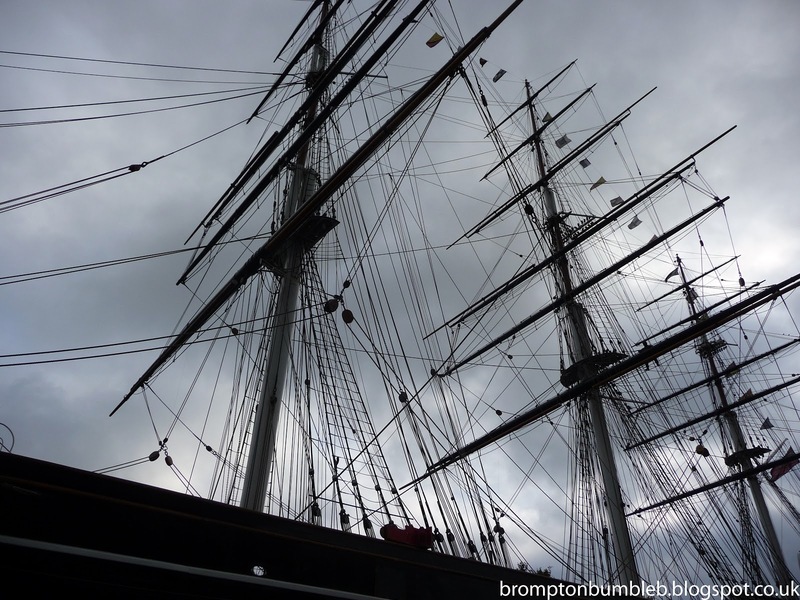 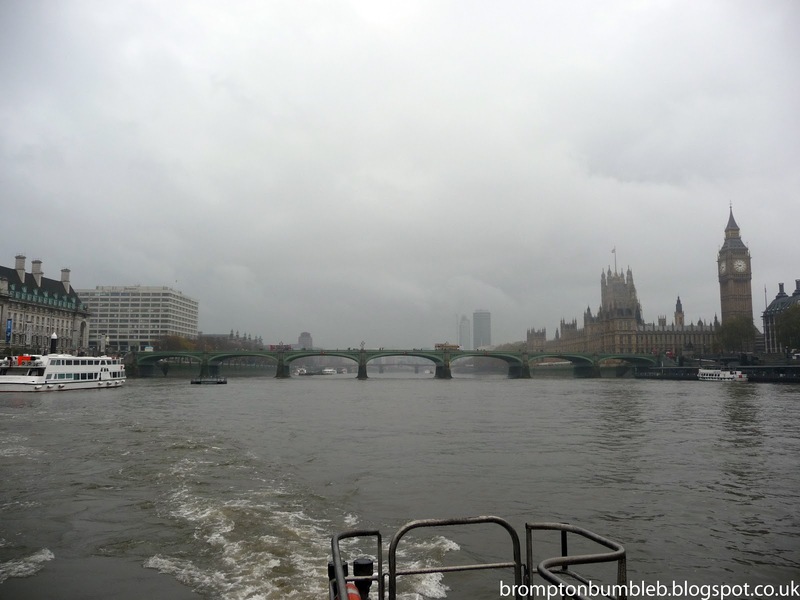 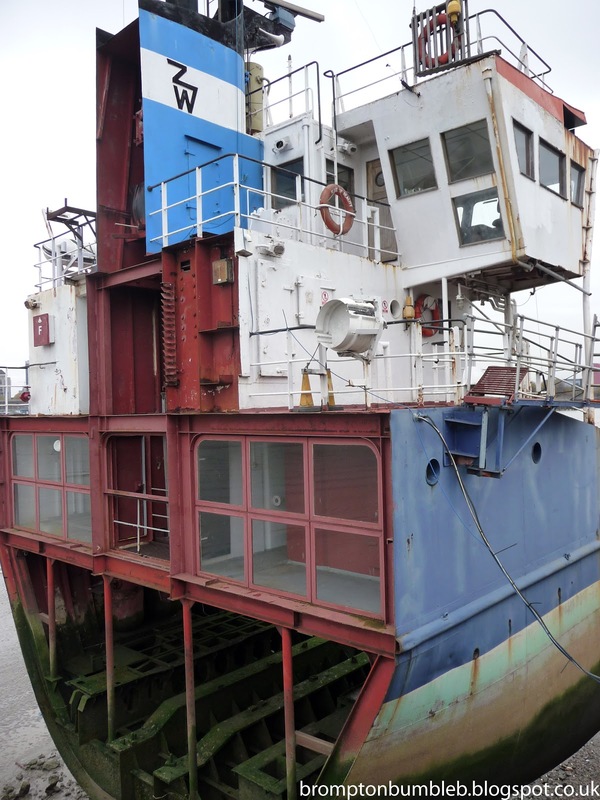 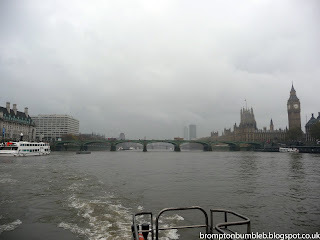 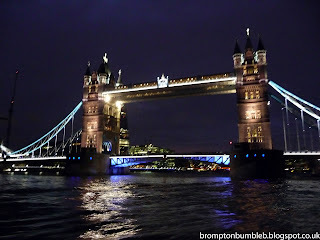 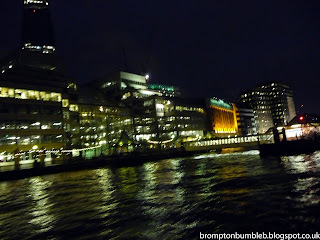 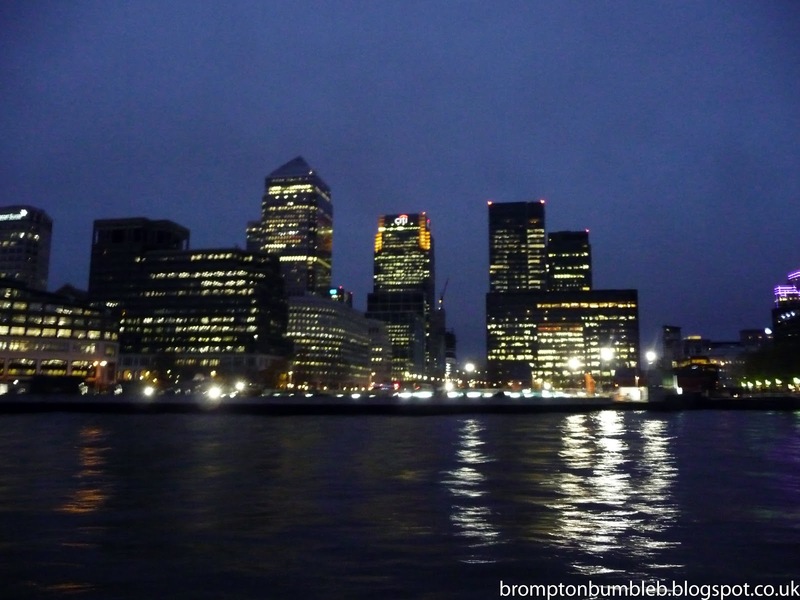 Then it was time to jump on the Thames Clipper and head on to Greenwich. 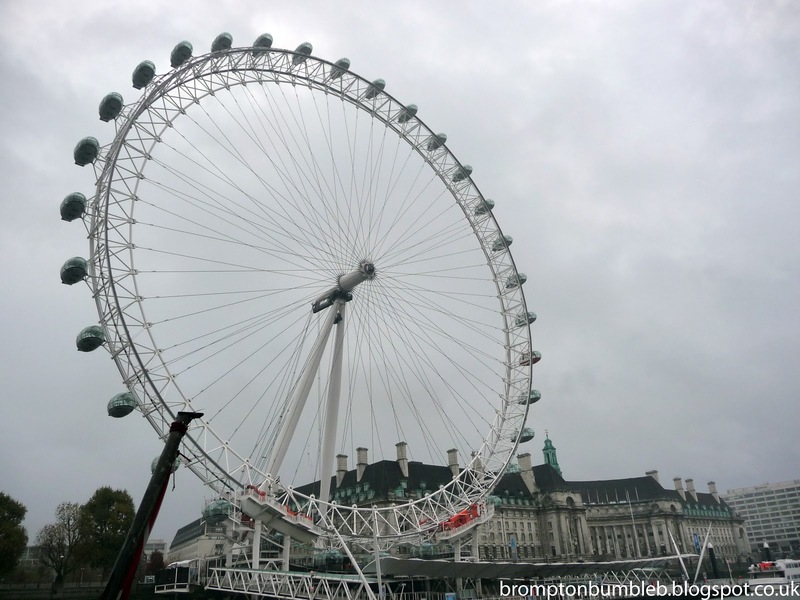 When we got to the London Eye a few more members of the club joined us and we enjoyed the river boat ride. 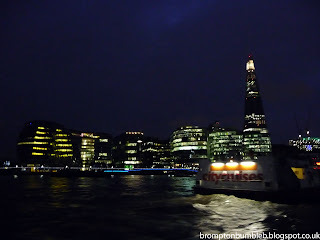 Going past so many london landmarks I spend most of this trip outside taking photos of everything as they went past. 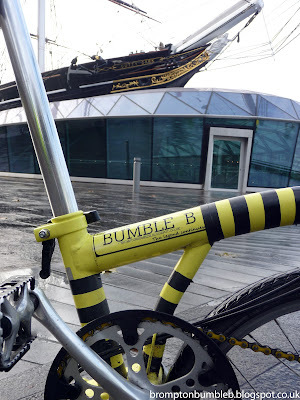 Bumble B's first time on the River. 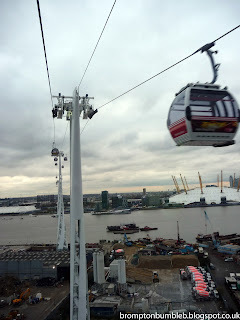 He as a little scared at first but enjoyed it I think. 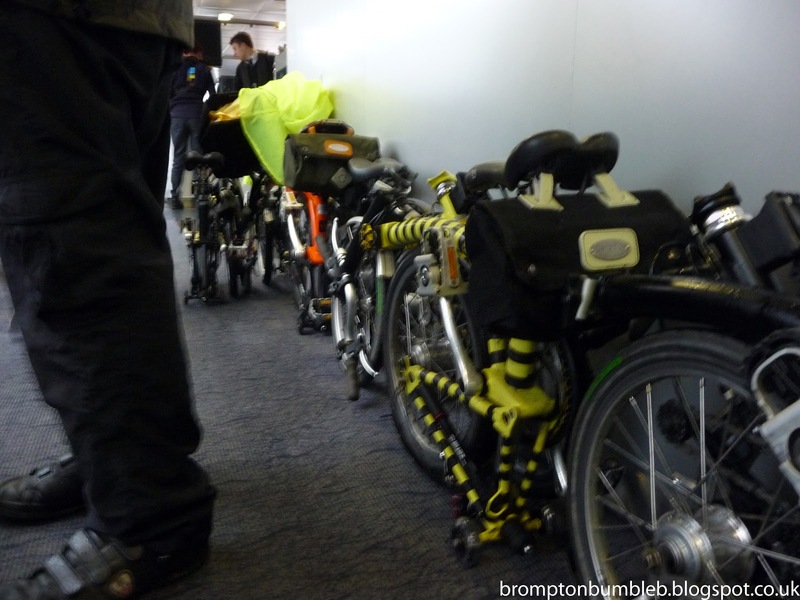 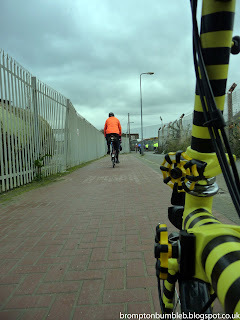 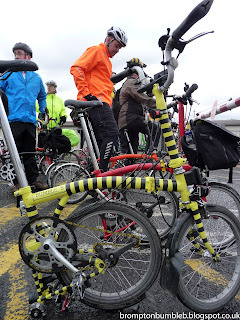 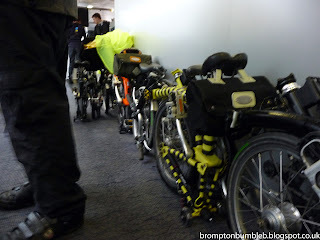 Someone suggested about parking up our Bromptons on each of the Status and getting out of the way. 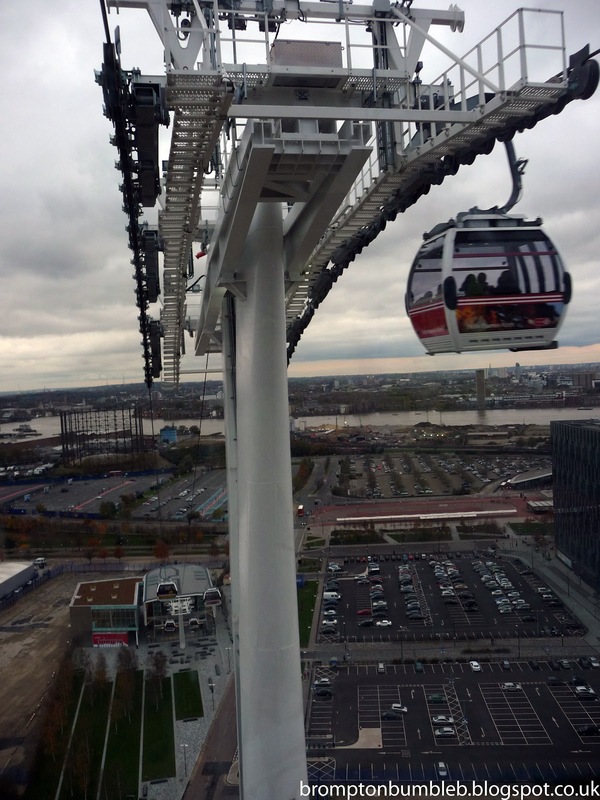 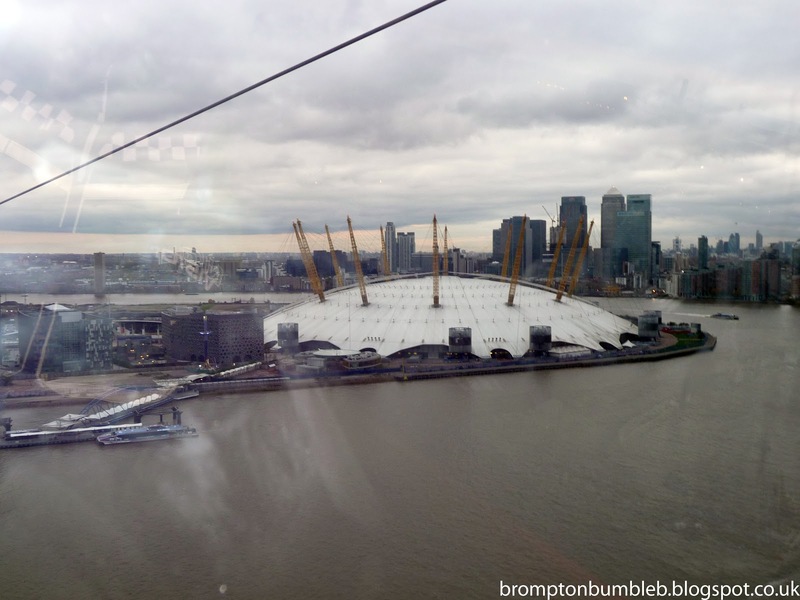 Been looking forward Emirates Skyline Cable car since it was first suggested, over looking the other London landmarks as it go. 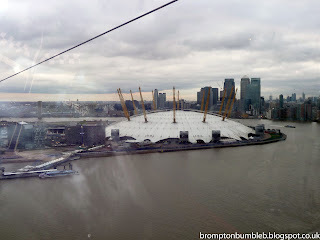 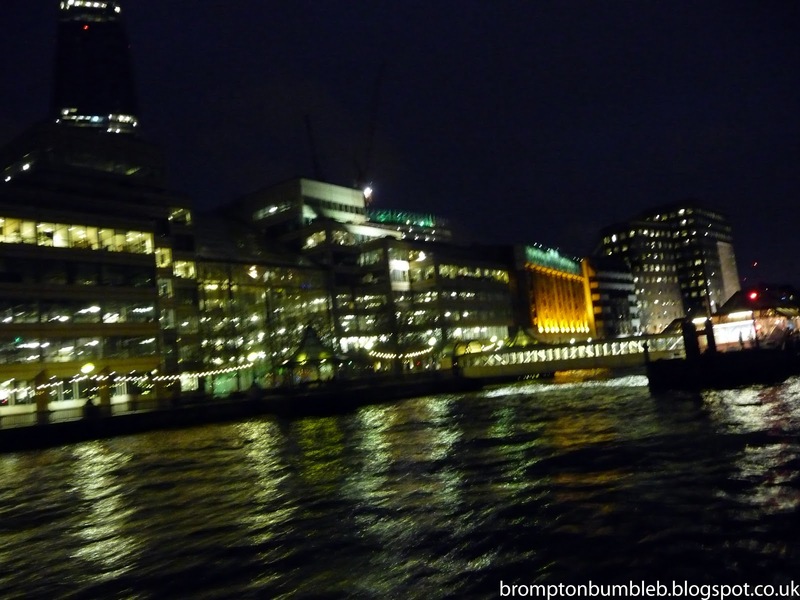 This is just before the big decent into the Emirates Skyline docking port at the other end. 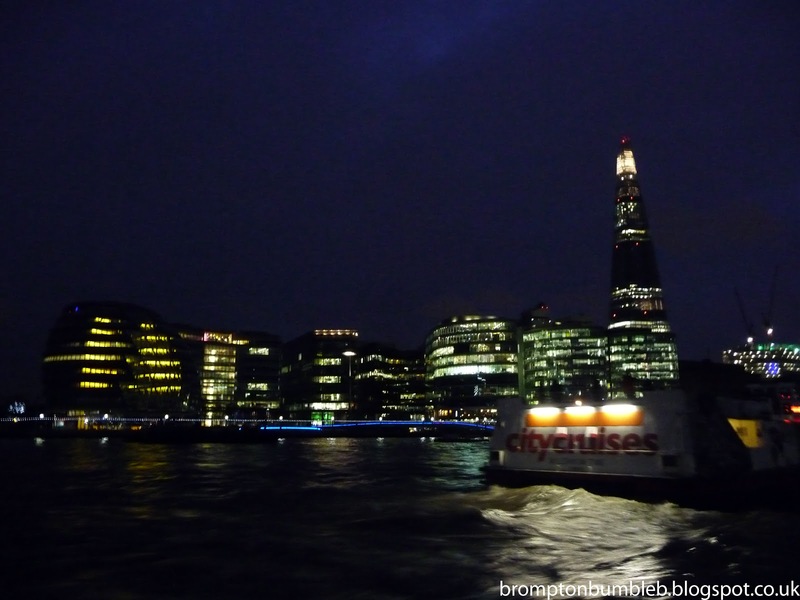 Felt like abit of a roller coaster as it really dropped quiet fast. Seems we where coming down this small path right next to the river at high tide as the path was getting waves. 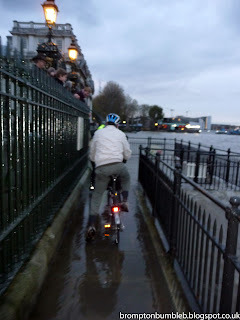 I ended up with 1 shoe wet but the other dry, very strange feeling. 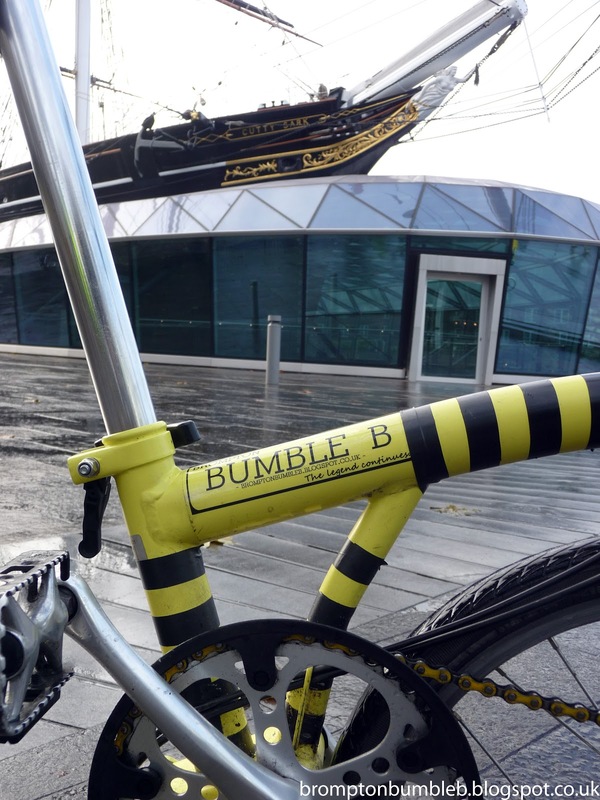 Bumble B, you BAD BOY!! 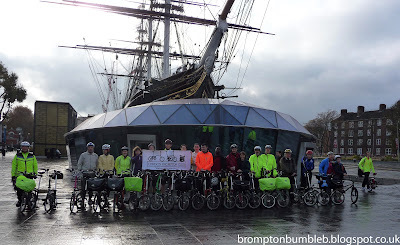 An awesome ride, I keep saying this but it was the BEST LBC Ride. 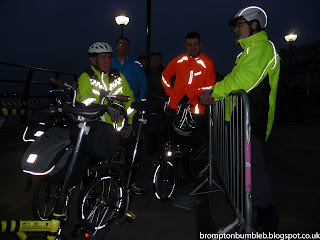 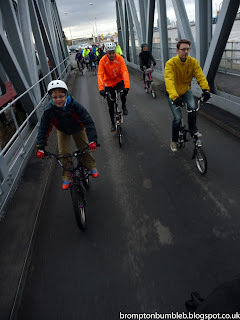 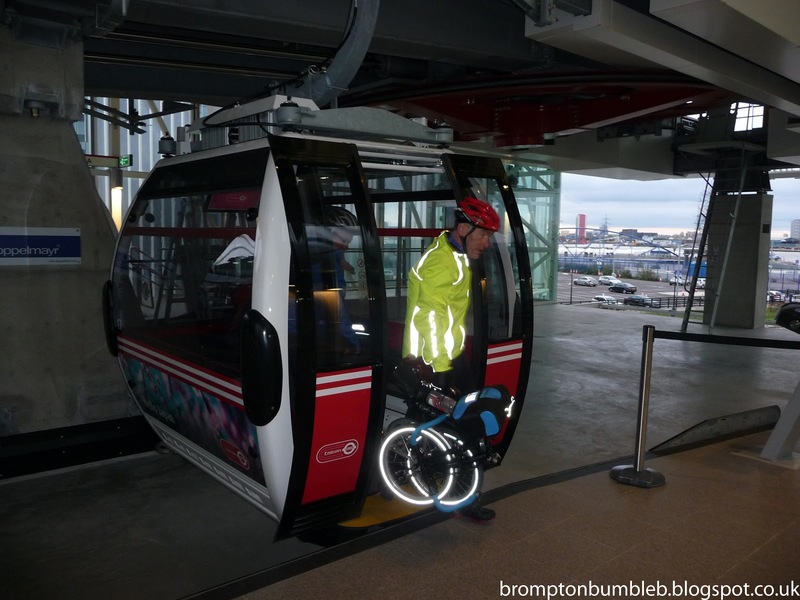 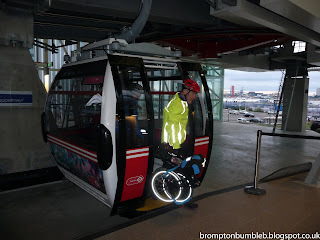 Every ride gets better and better, the company is awesome, the bikes are already awesome, the ride itself is great and the way people watch us as we roll past is just great. 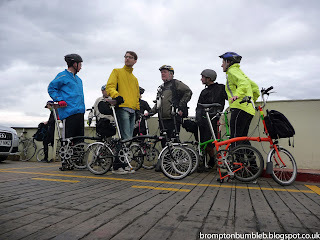 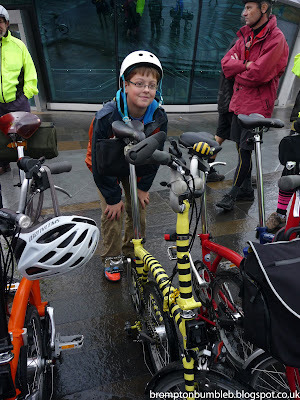 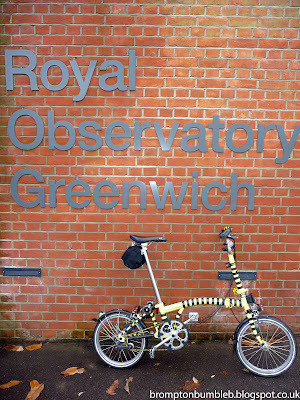 Most of the time people always stop one of us and we always talk about how great the Brompton Bike is and demo the fold and how easy it is. 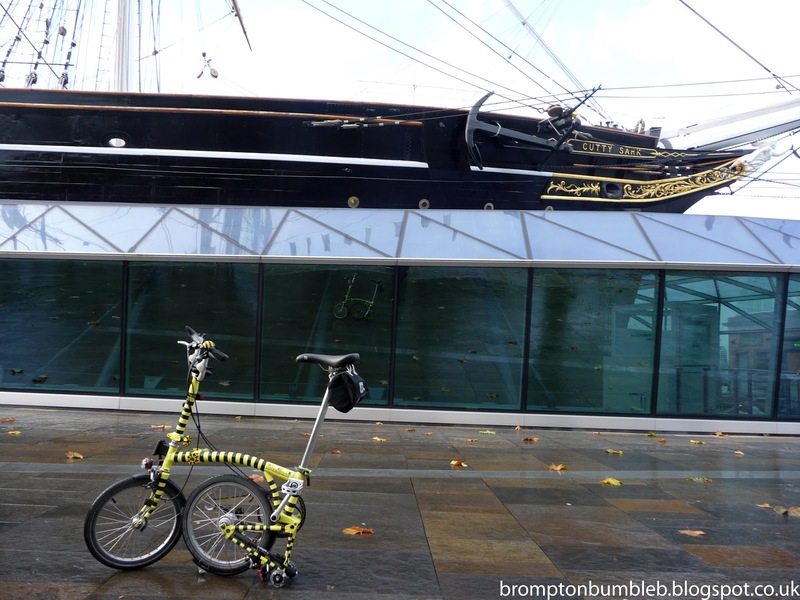 This time I forgot to take my business cards with me but I was in abit of a rush so forgot the small things. 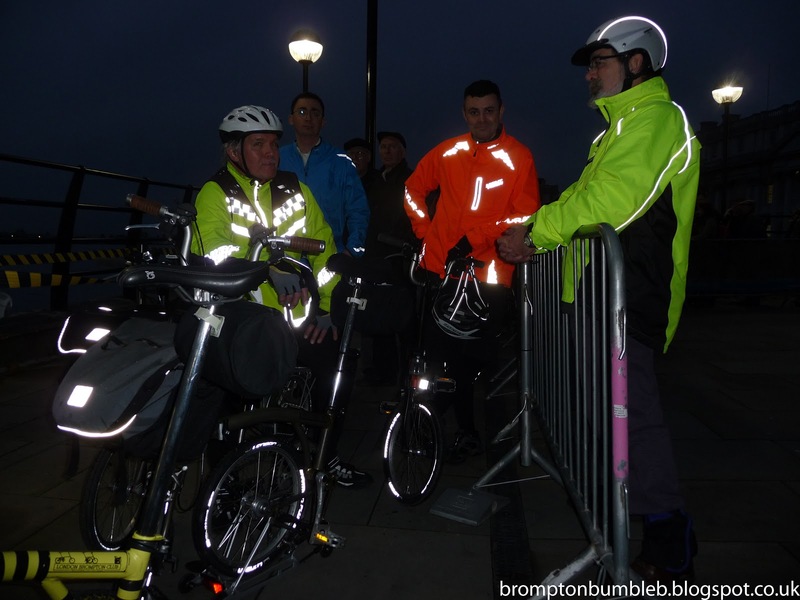 Everyone enjoyed themselves and everyone is already looking forward to the next ride. 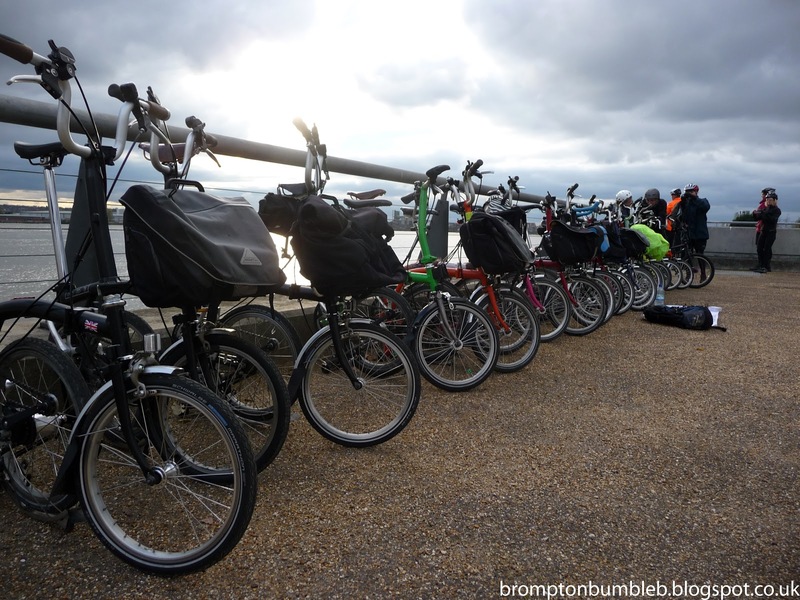 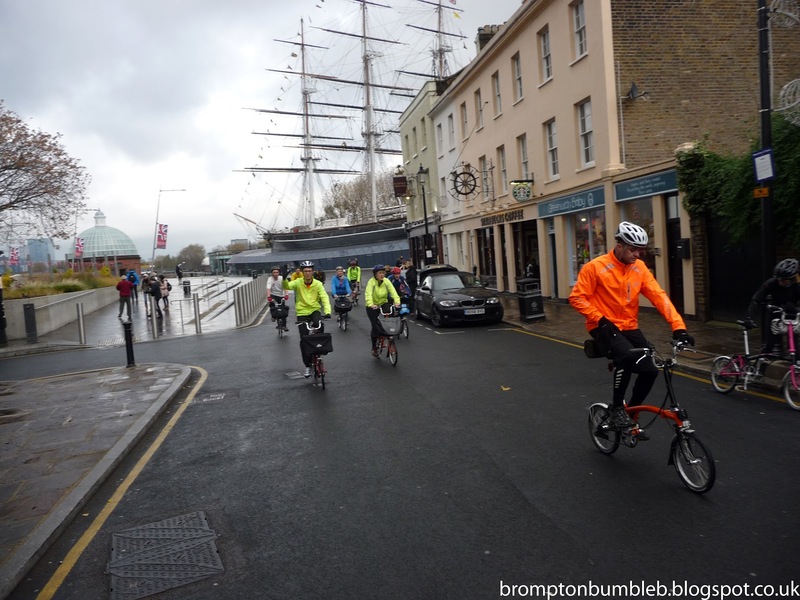 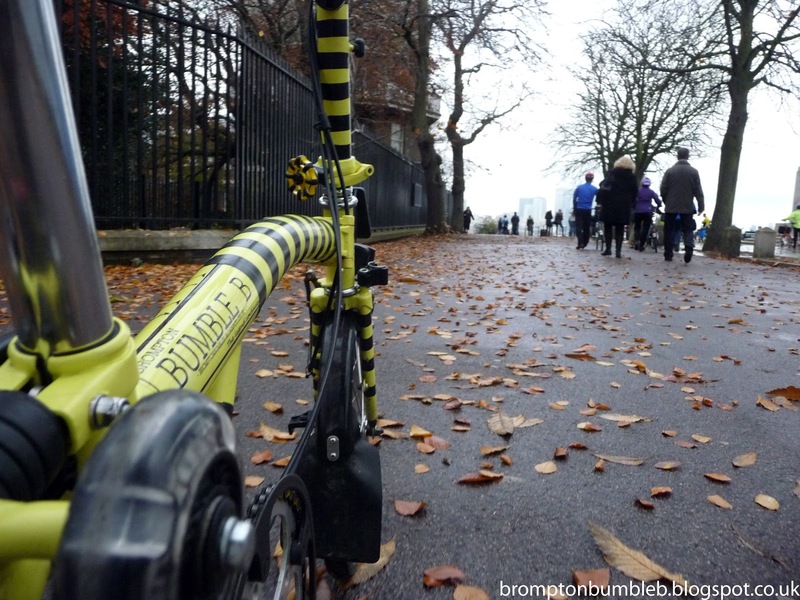 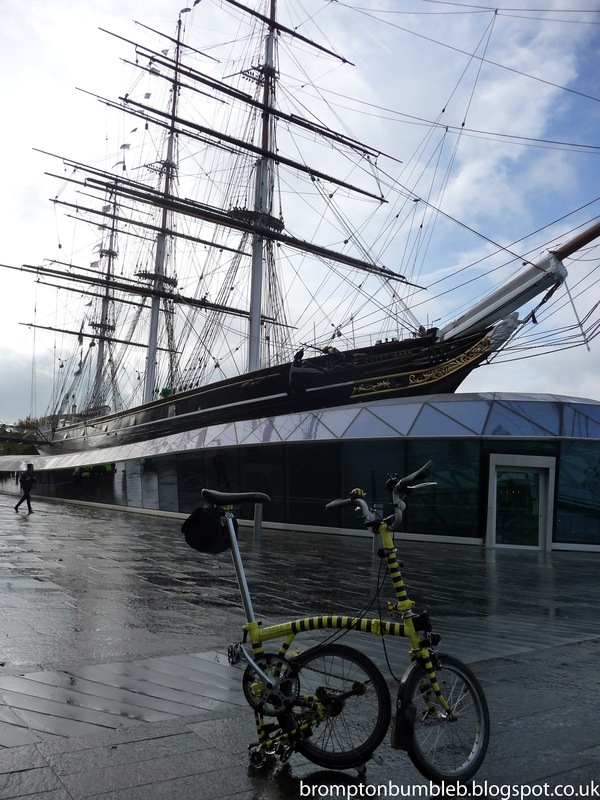 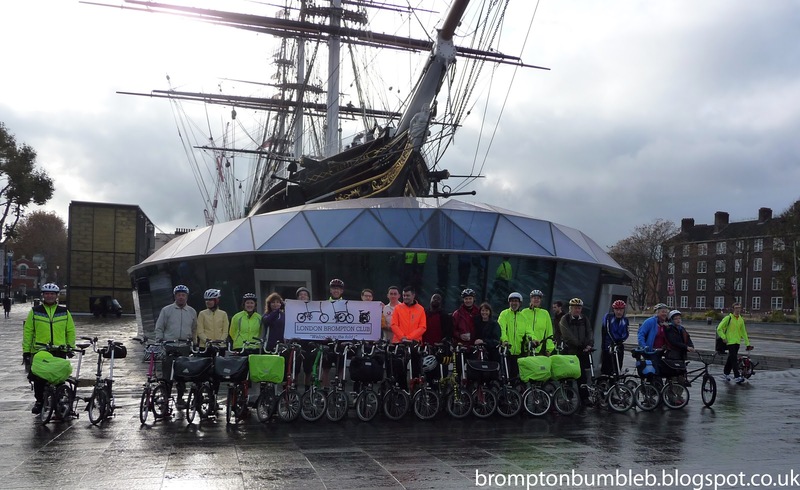 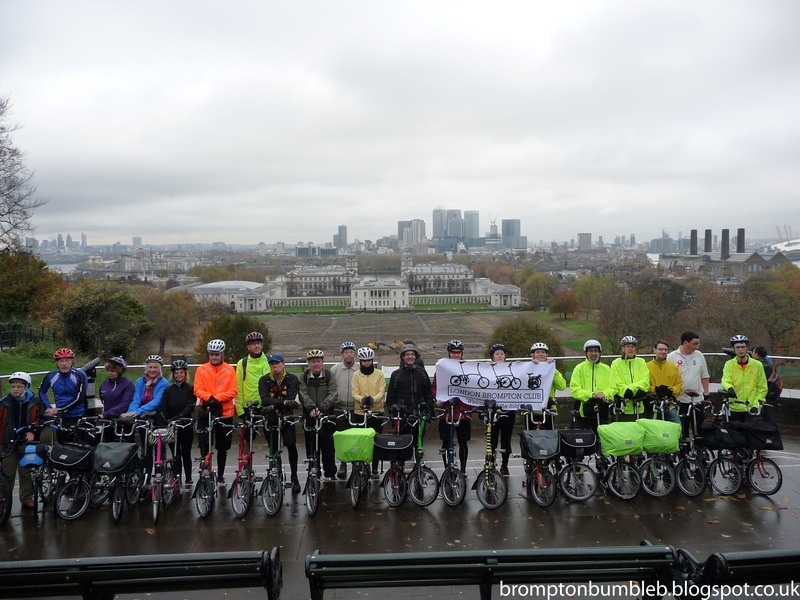 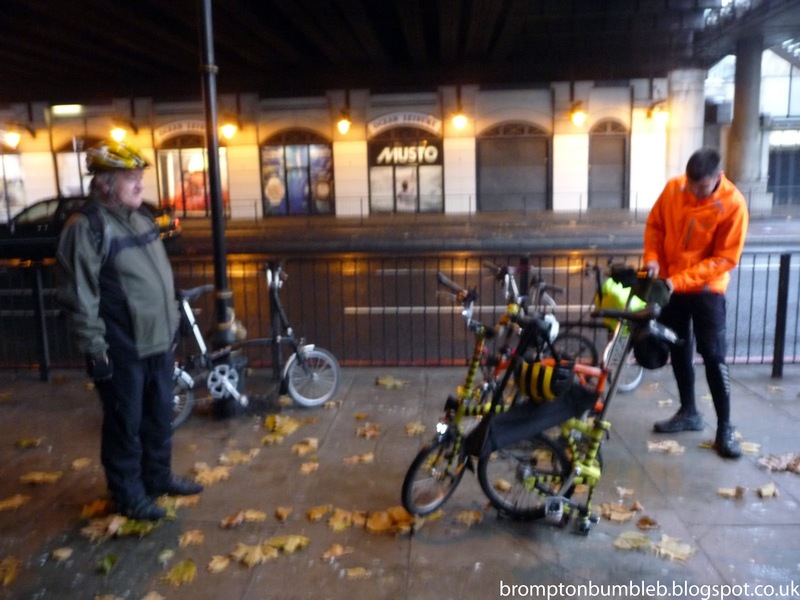 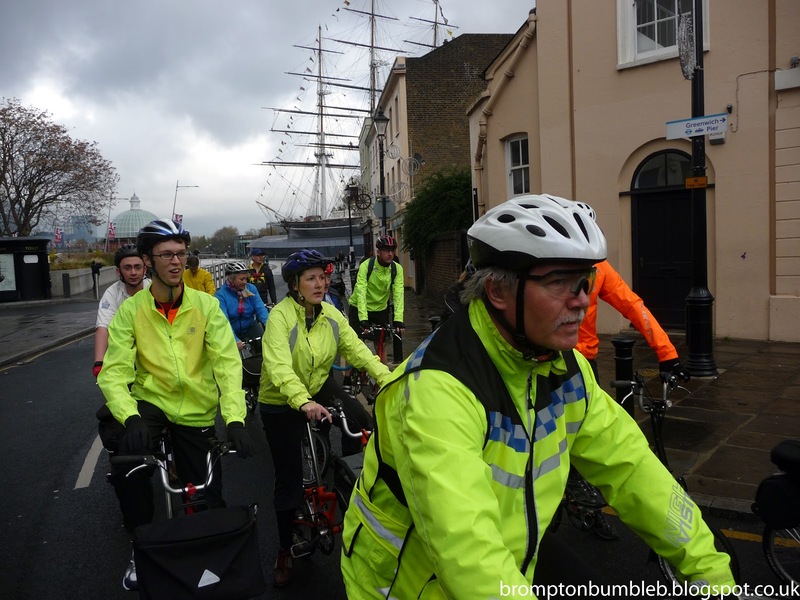 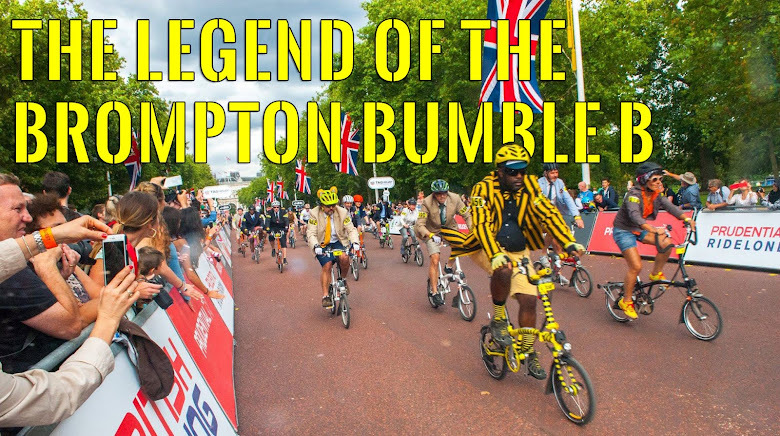 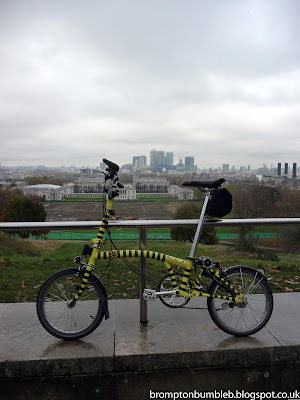 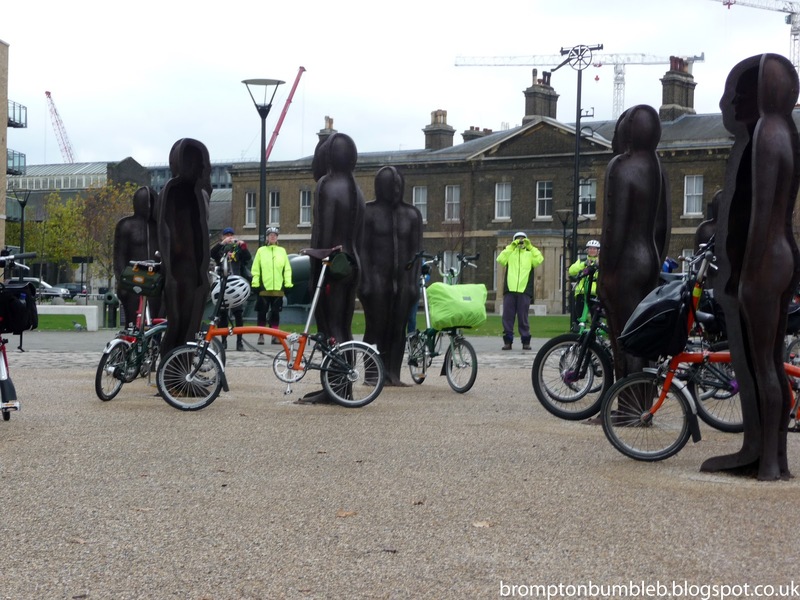 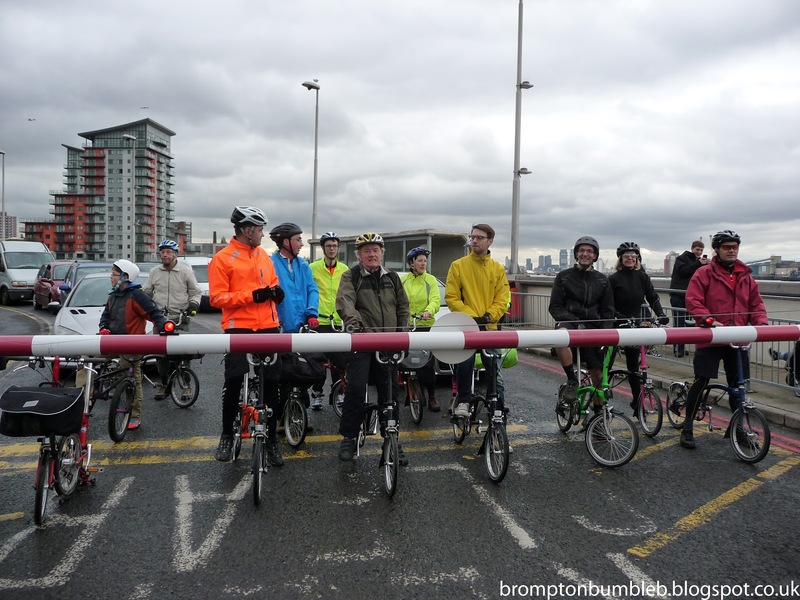 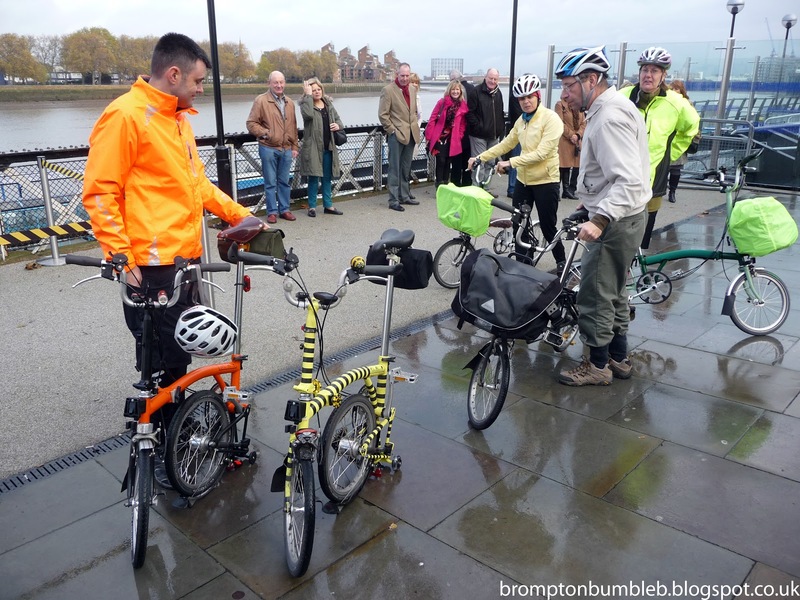 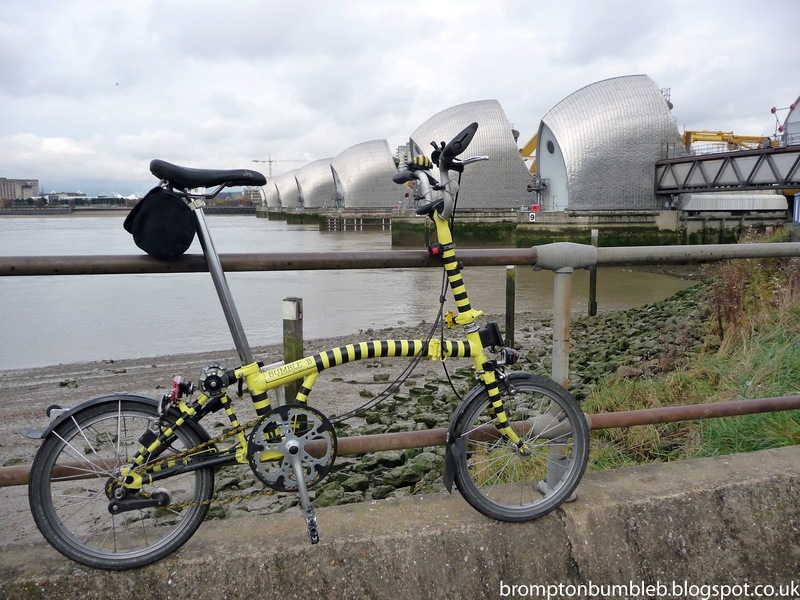 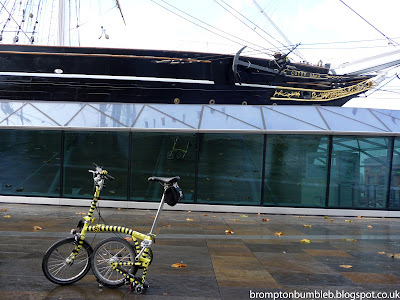 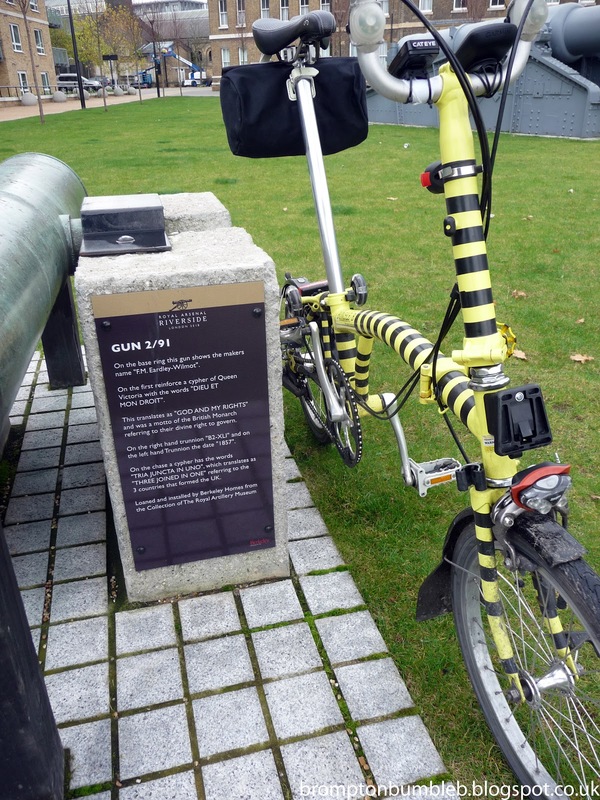 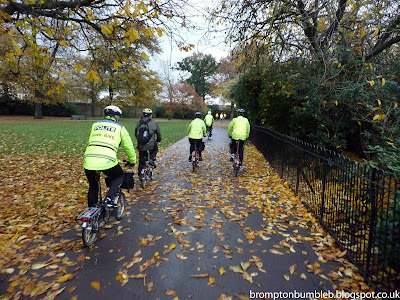 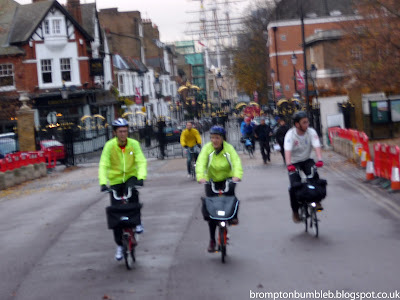 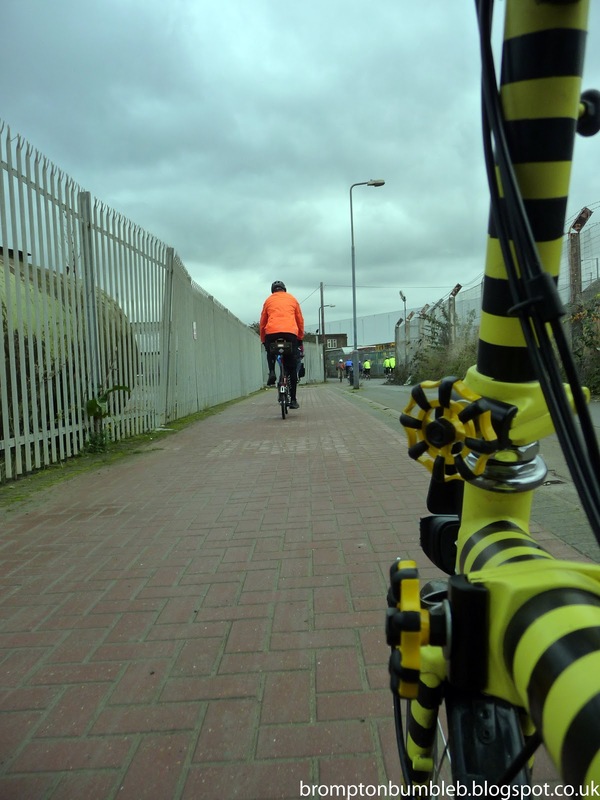 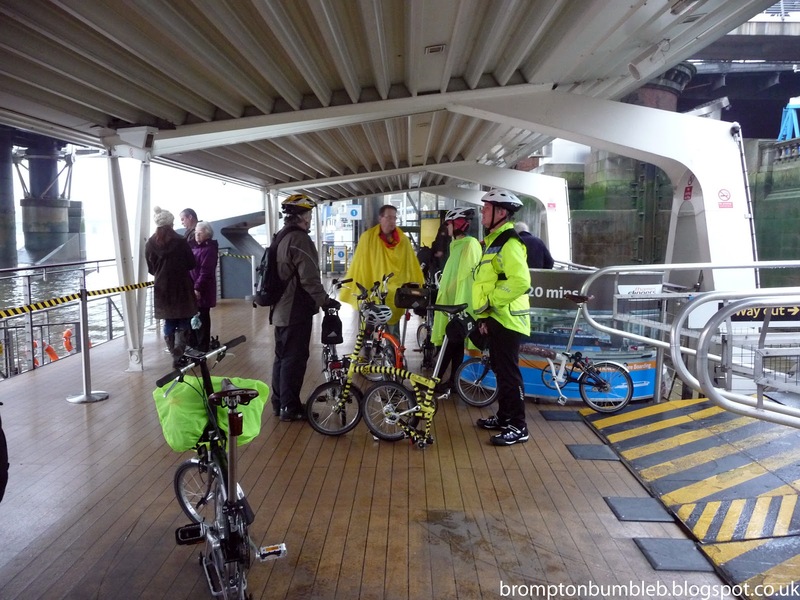 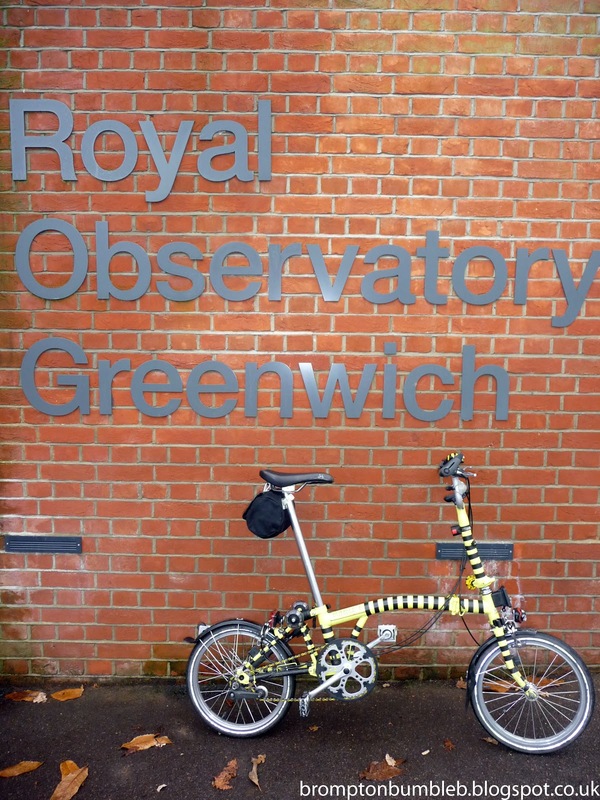 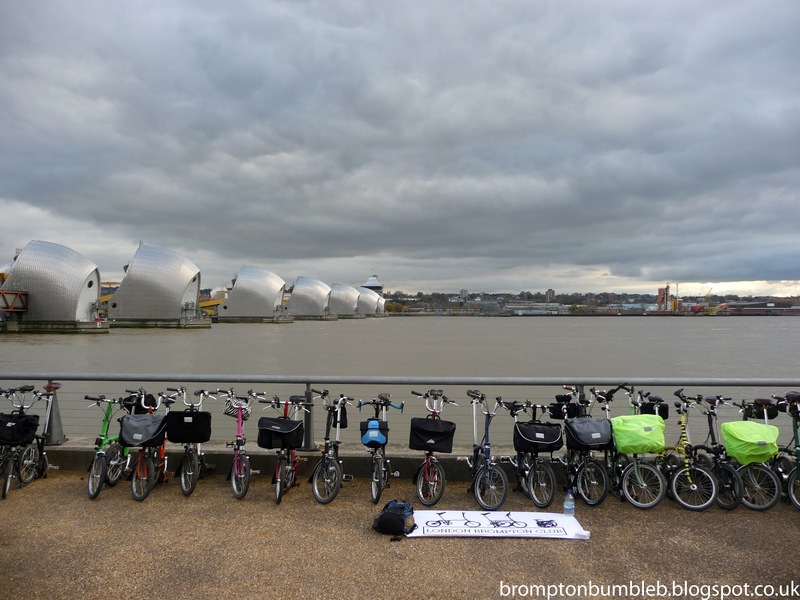 If you want to know about the next ride, join London Brompton Club and check events section for upto date information on rides. Below ofcourse is my Garmin Edge 800 GPS stats of the ride. 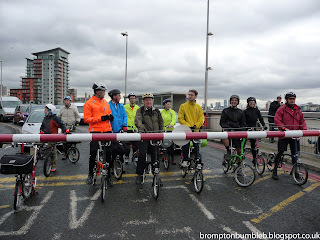 Wow, what a tour! 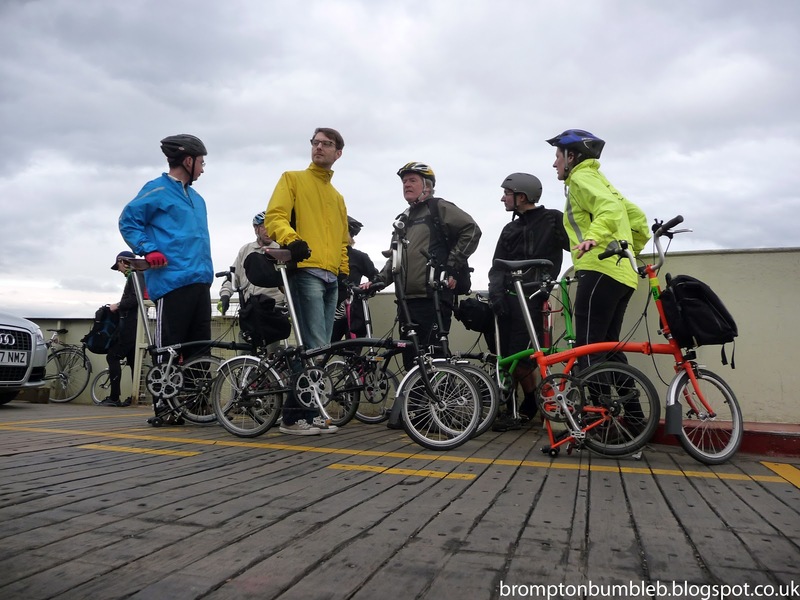 Love, love, love these photos -- and boy, do I envy you people your LBC. 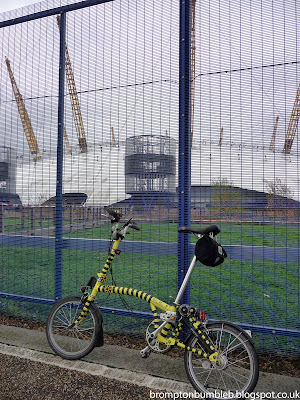 There's nuttin' like your club in my neck of the woods . 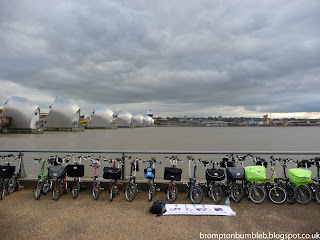 . . and hardly any Bromptons, other than my own Basil.